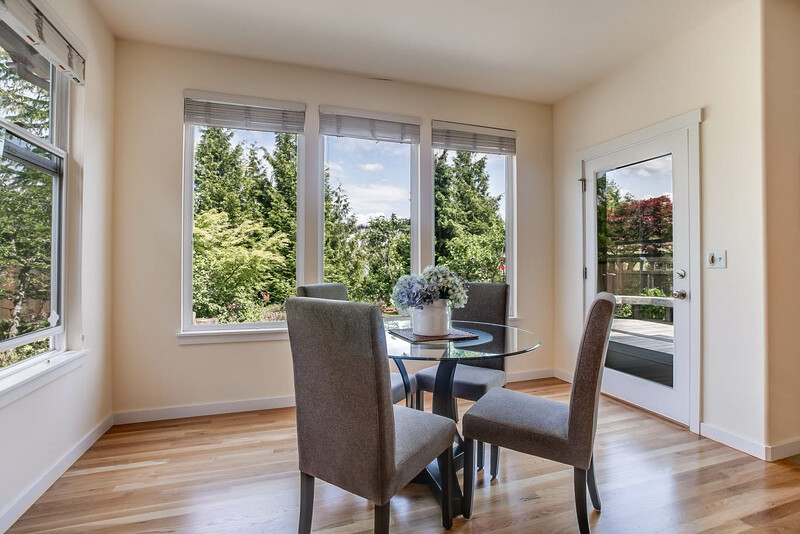 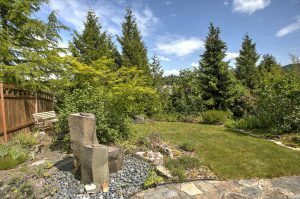 A perfectly located one owner home on a quiet street and a deep lush greenbelt. 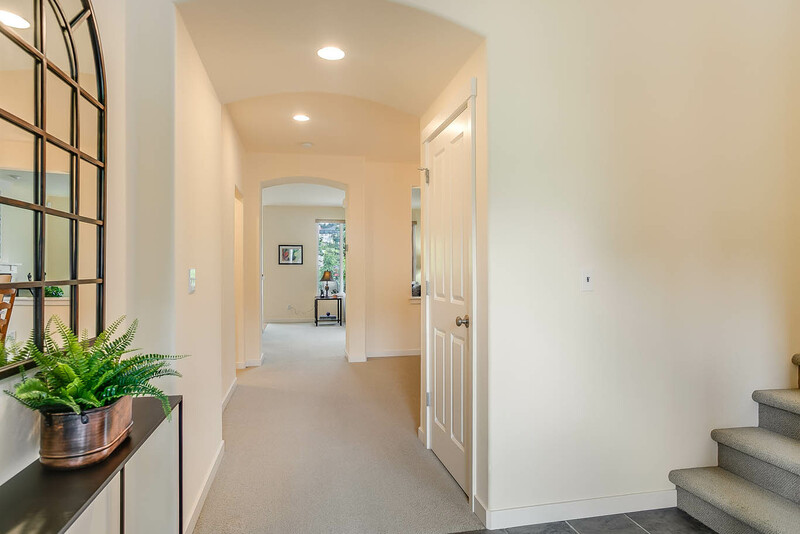 A warm inviting entrance with slate floor. 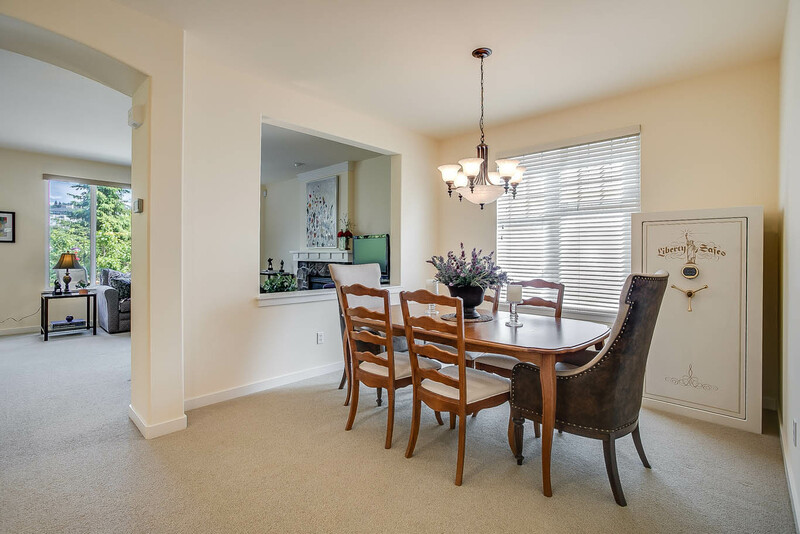 The main floor den has a beautiful custom desk and cabinets that remain with the home. 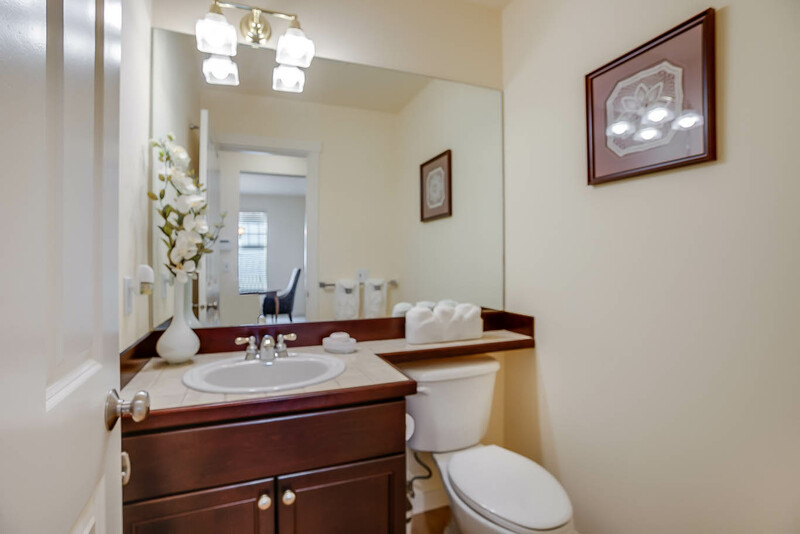 The updated main floor powder room. 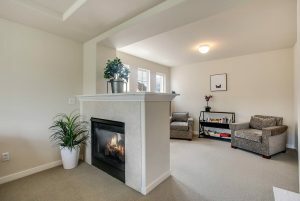 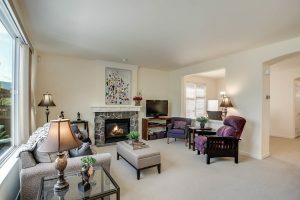 The family room is well-sized and has a warm gas log fireplace. 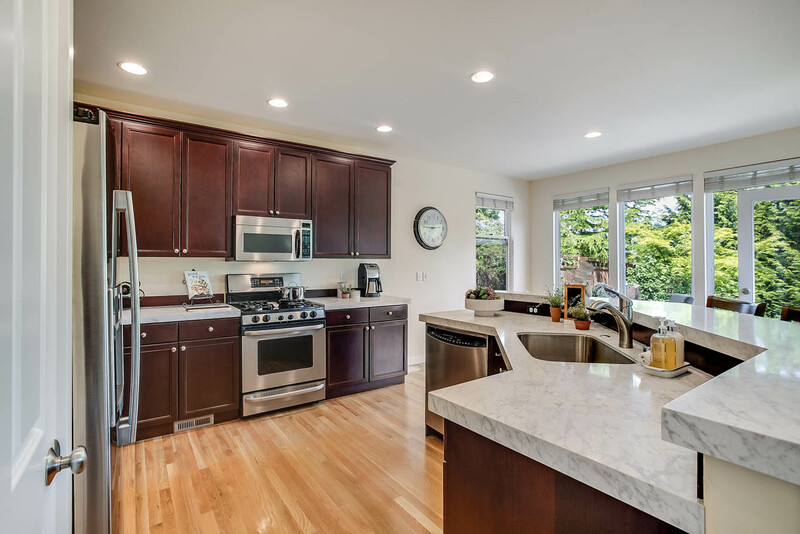 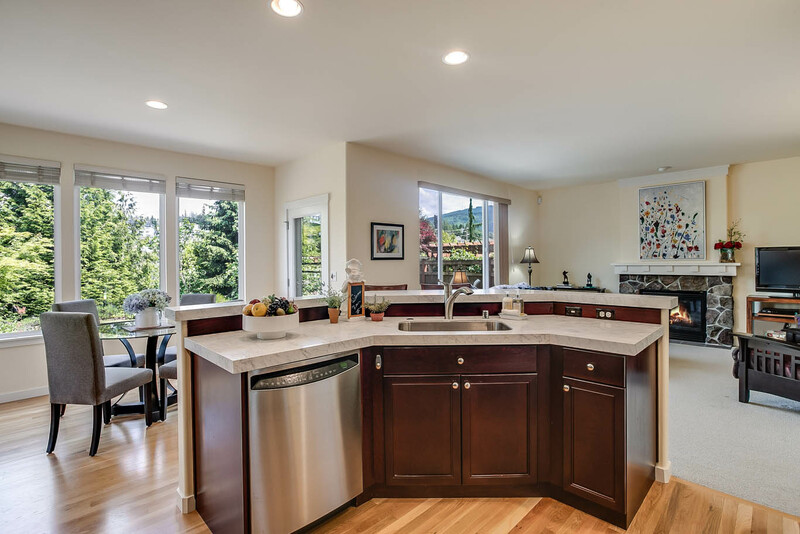 The kitchen is open and light with gleaming hardwood floors. 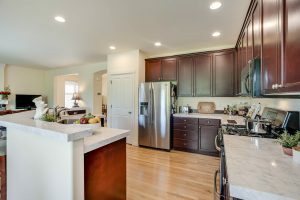 The appliances are all stainless steel. A wonderful amount of kitchen storage and has gas cooking. The eating nook is filled with light and has beautiful views of the greenbelt. 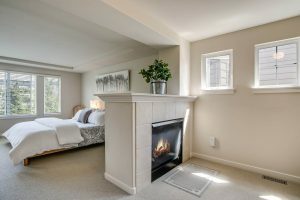 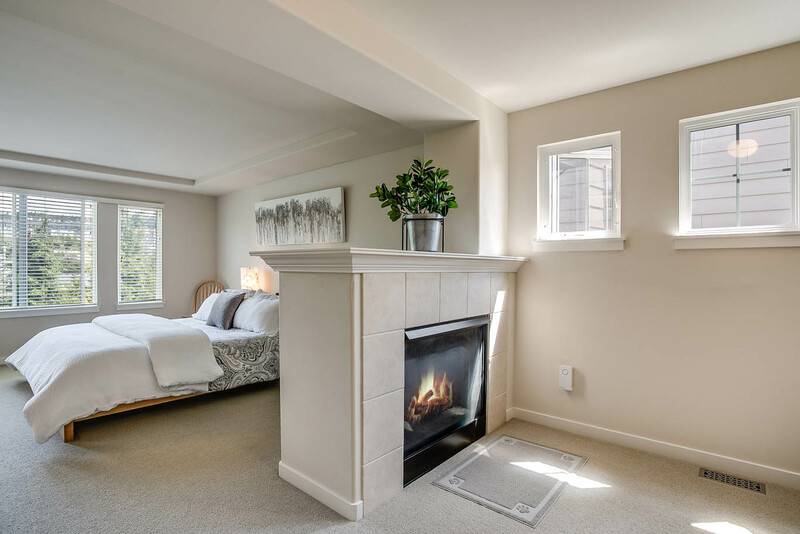 A large master bedroom with a tray and see through gas log fireplace. 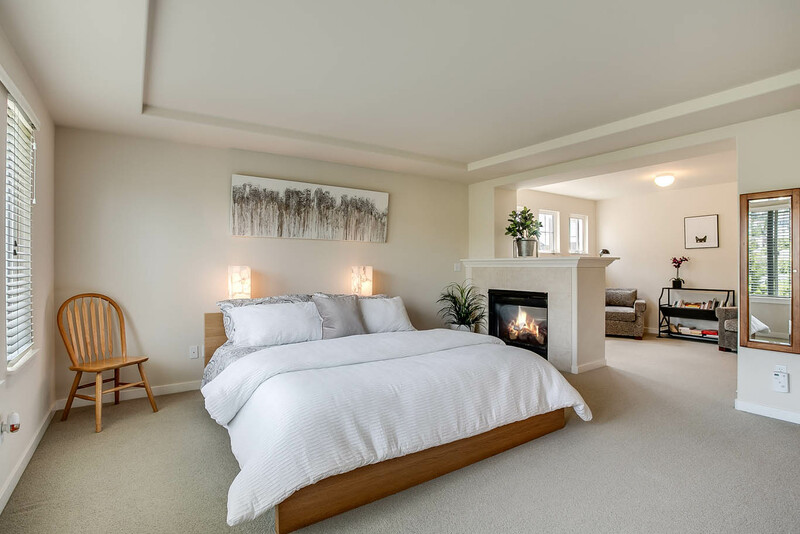 The view from the master bedroom into the adjoining sitting room. 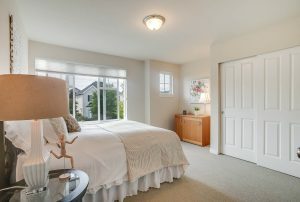 The view from the sitting room back into the master bedroom. 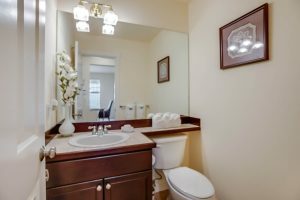 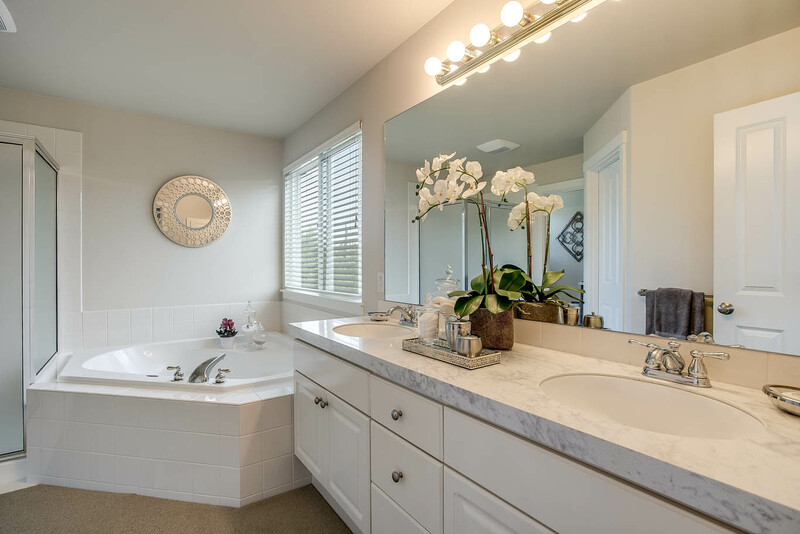 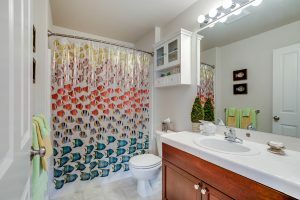 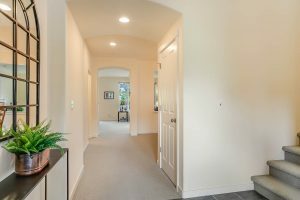 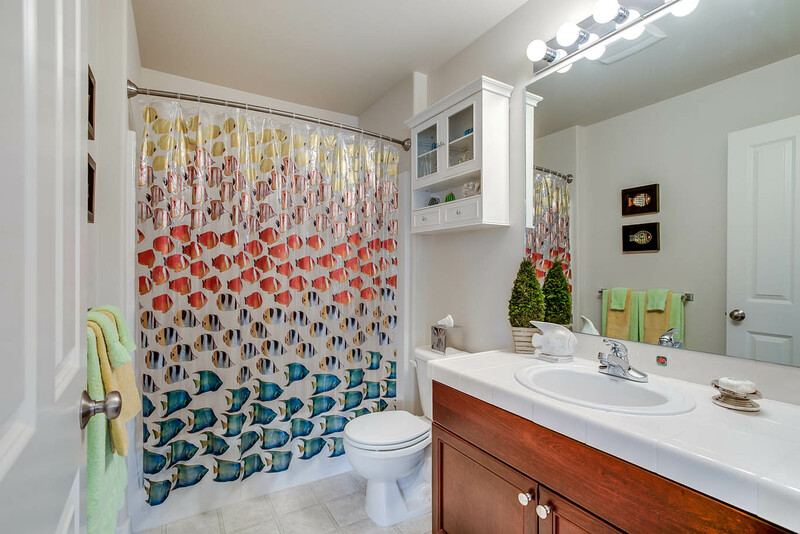 The master bath is light and bright and has been updated. 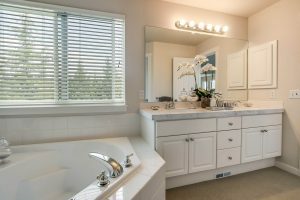 A 5 piece master bath with walk in closet. The utility room is upstairs and has plenty of storage and a place to fold clothes. The 3rd bedroom has a fantastic "Murphy Bed" that remains with the home. 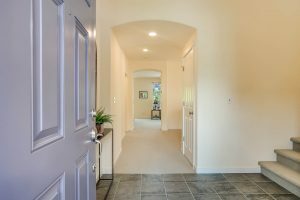 Looking back to the home. 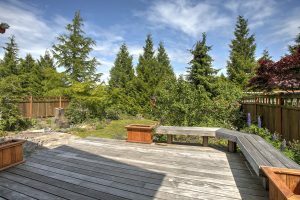 A lawn area, patio and deck. 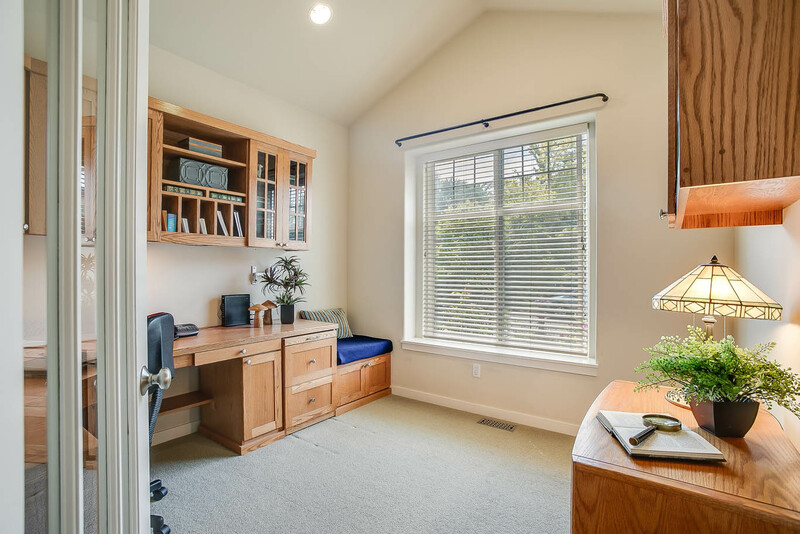 There is a an attached work shed on the house with a locking door, shelves and work area. 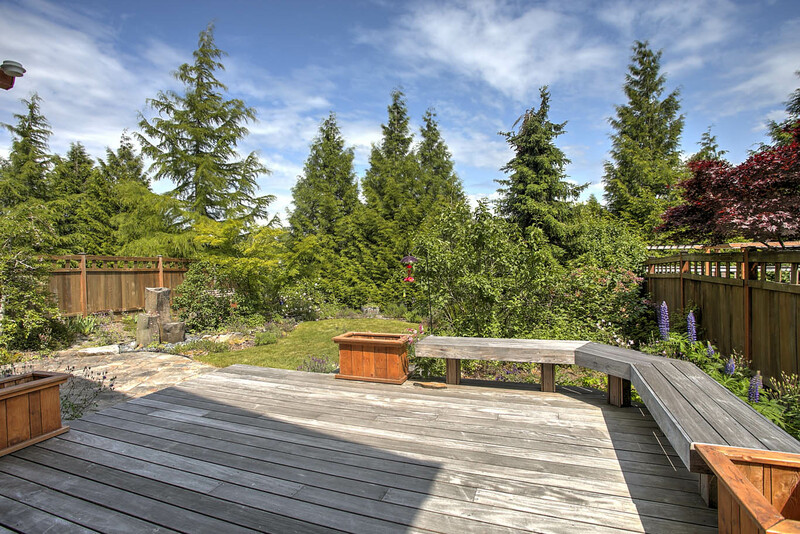 The view from the patio back over the top of the permanent deep lush greenbelt. 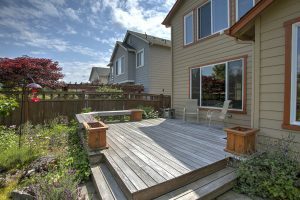 The deck is low to the ground and is the perfect spot to dine and relax. 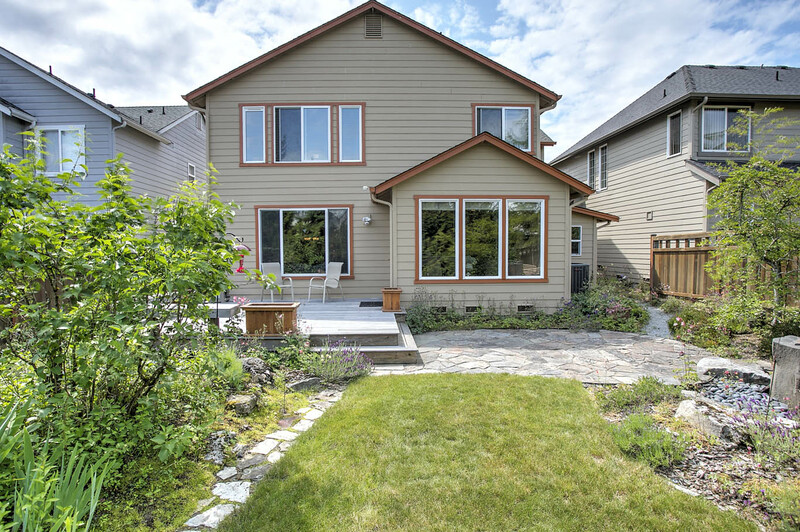 A perfectly located one owner home on a quiet street and a deep lush greenbelt. Floorplan includes three bedrooms, main floor den plus a sitting room off of the master suite. 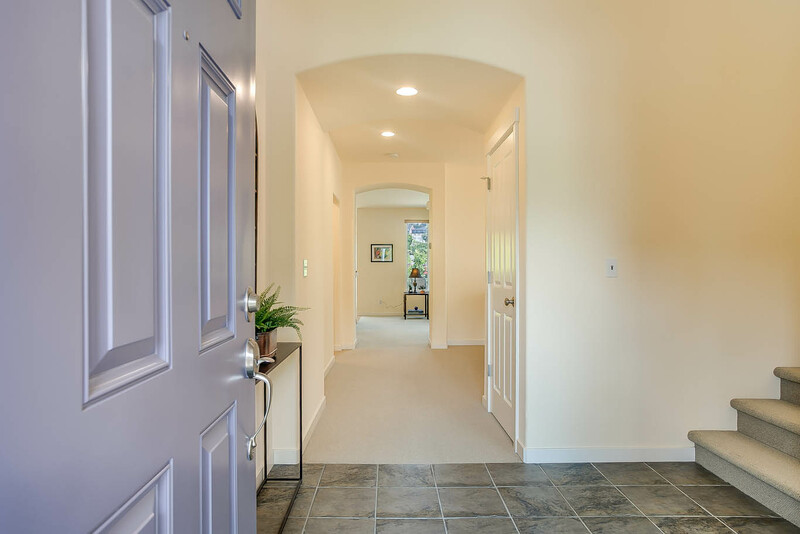 A warm inviting entrance with slate floor. 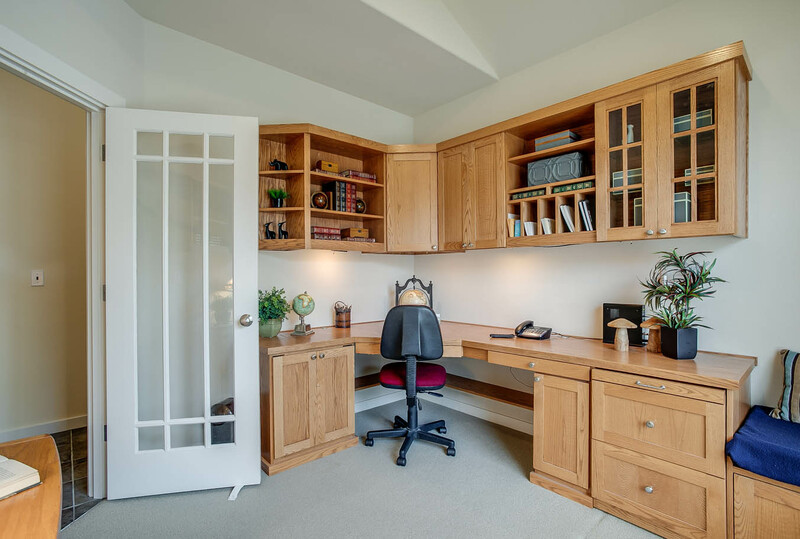 Main floor den with a beautiful custom desk and cabinets that remain. 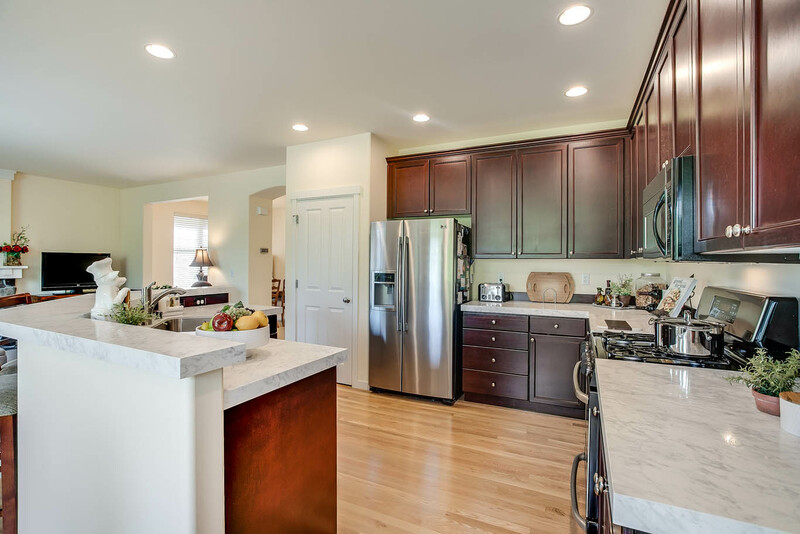 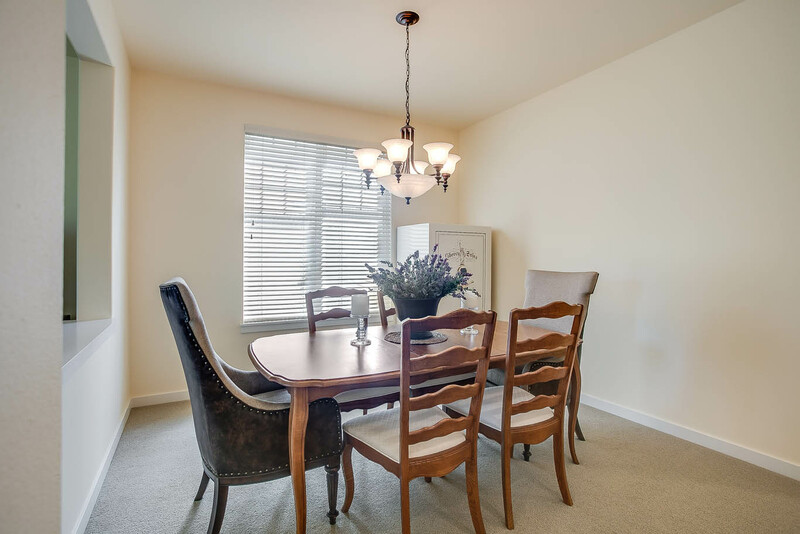 Open and bright kitchen with stainless steel appliances, gas cooking and gleaming hardwoods. 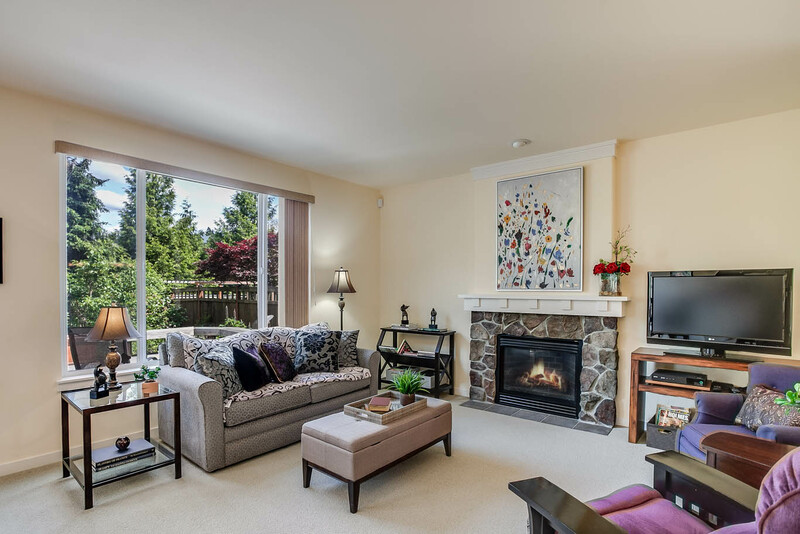 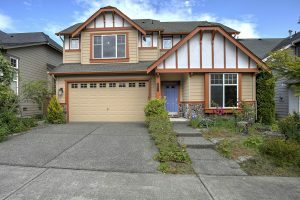 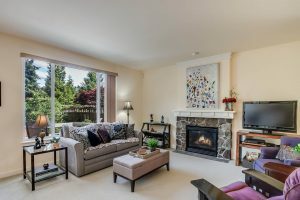 Spacious family room off kitchen is well-sized and features a gas log fireplace. Well-appointed master suite has tray ceilings plus sitting room with gas log, see -thru fireplace and five-piece master bath. 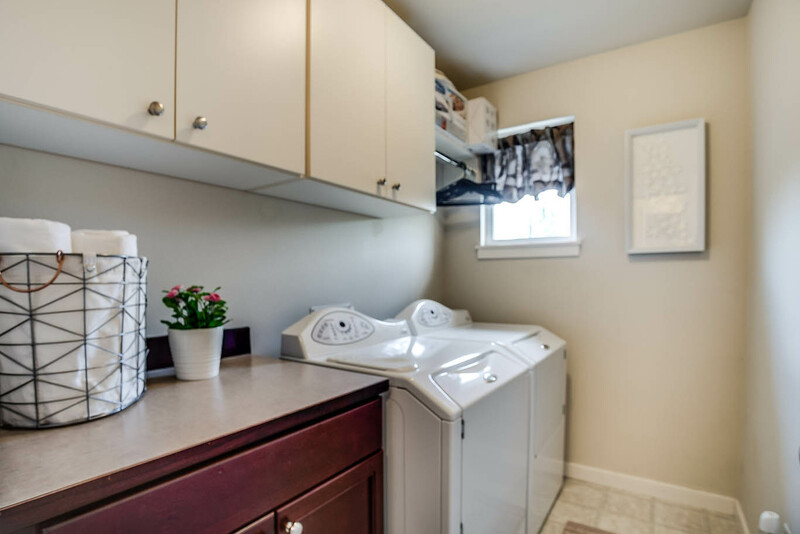 Convenient upstairs laundry room with plenty of storage and folding space. 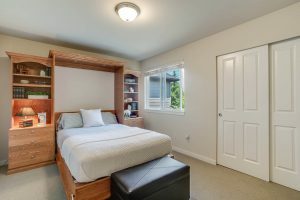 Murphy bed in third bedroom remains. Home backs to a deep, lush greenbelt and the backyard offers lawn area, patio, deck and attached shed with locking door, shelves & work area.